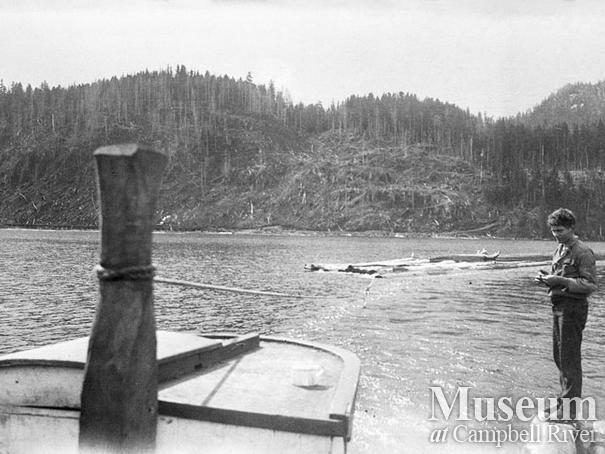 Boom of logs being towed by the 'Kathleen'. 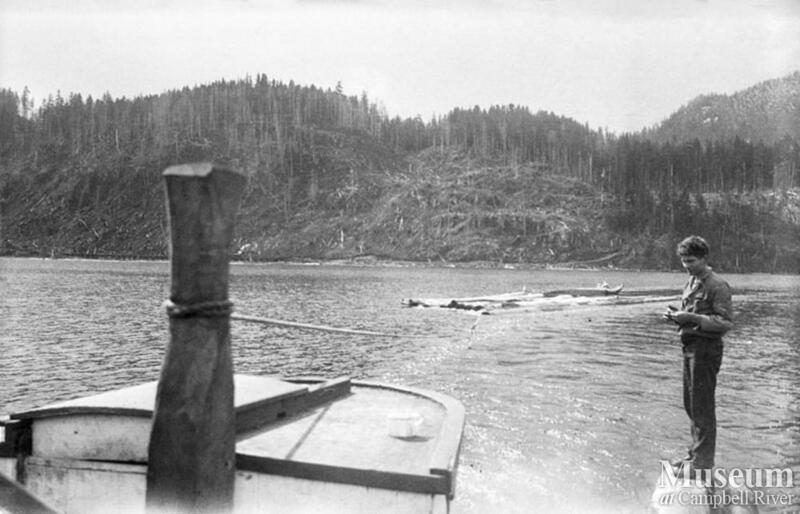 This photograph was likely taken when Roderick Haig-Brown, along with Ed and Buster Lansdowne spent the summer beachcombing logs from the Nimpkish Lake. The logs that they collected had escaped when being floated to the railhead.